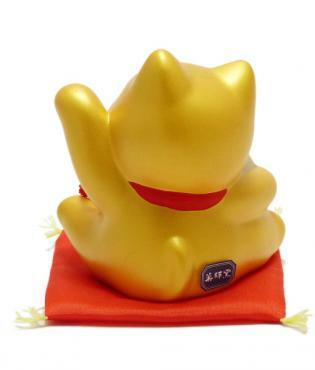 We have just 5 of these lucky gold cats for the New Year. 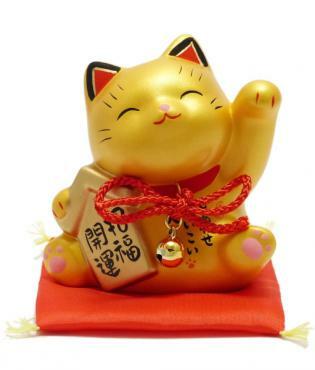 The maneki neko (beckoning cat) is a very popular symbol of good fortune and is usually placed in the entrance of a house or business. The left hand raised beckons new people (customers, friends, lovers) into your life, while the gold color symbolizes wealth. Complete with a small red cushion that really sets off the bright gold of the cat.